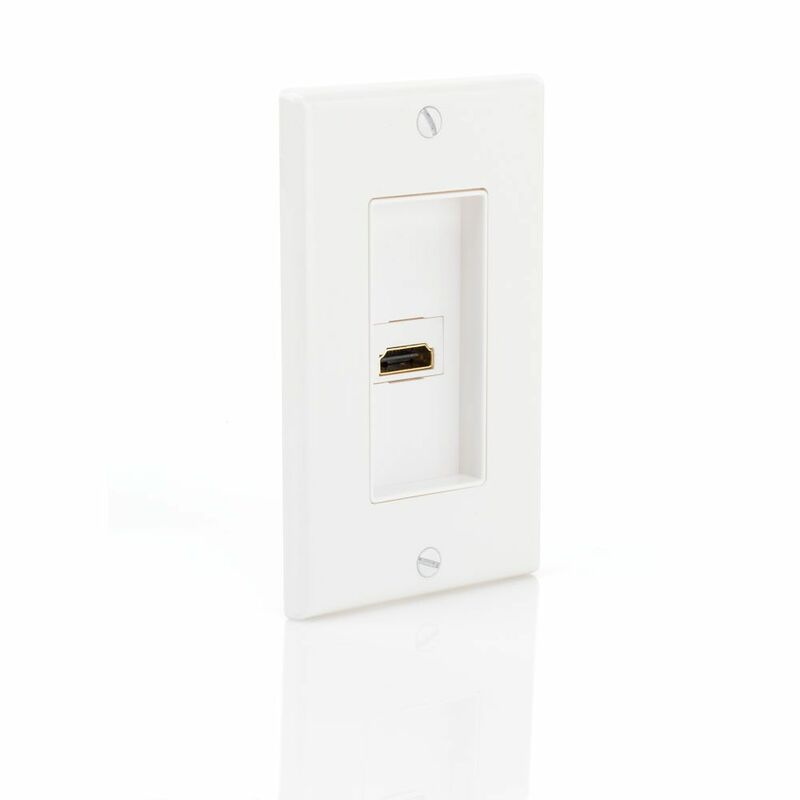 Easily install an HDMI cable connection into a wall using this CE Tech Single Wall Plate. Standard size plate mounts easily to wall. Accommodates HDMI cable. HDMI Wall Plate in White Easily install an HDMI cable connection into a wall using this CE Tech Single Wall Plate. Standard size plate mounts easily to wall. Accommodates HDMI cable.